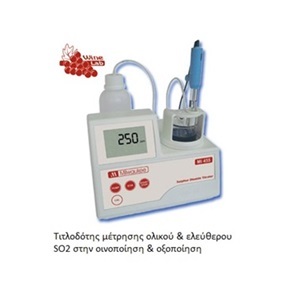 User-friendly microprocessor-based mini-titrator for the determination of free and total sulphur dioxide in the process of wine making.This mini-titrator will give you direct readings with a range of 0 to 400 ppm. 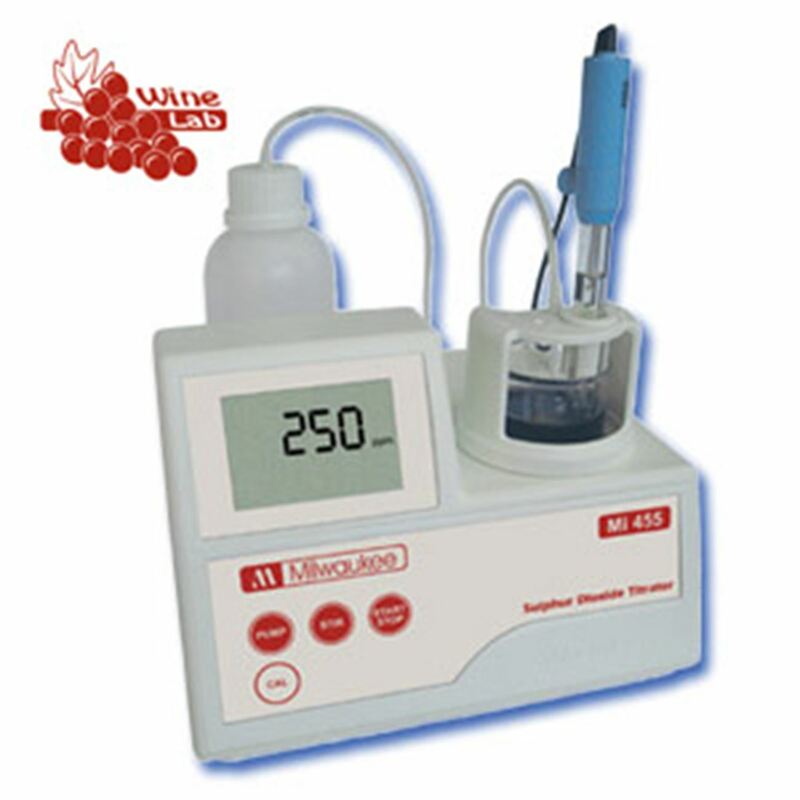 The instrument comes with a pre-programmed analysis method for free and total sulphur dioxide measurements on wine sample. Technically, sulphite is a salt or ester of sulfurous acid, but more commonly, sulfur dioxide (SO2). Sulfite is the most effective and widely used preservative in winemaking. It preserves by safeguarding musts and wines against premature oxidation and microscopic life forms that could otherwise spoil wine. It preserves a wine's freshness, helps maintain its color, and is essential for aging wines beyond their first year without deterioration. It also inhibits wild yeasts, thereby allowing cultured wine yeasts to dominate the fermentation. Sulfites may be "bound" or "free." Bound SO2 combines with aldehyde compounds, those most responsible for oxidation in wines. 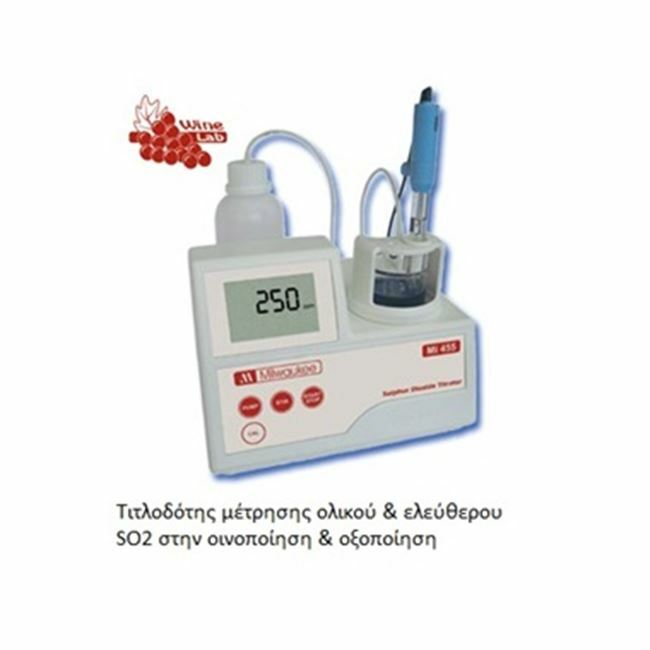 Free SO2 results from the dissipation of active SO2 and is the only SO2 that provides antiseptic and oxidative protection to wines. The most efficient what to add free SO2 to a must, juice or wine is by adding dissolved potassium metabisulfite to it. The effectiveness of free SO2 is dependent on the pH of the media to which it is added. power cable and instruction manual.